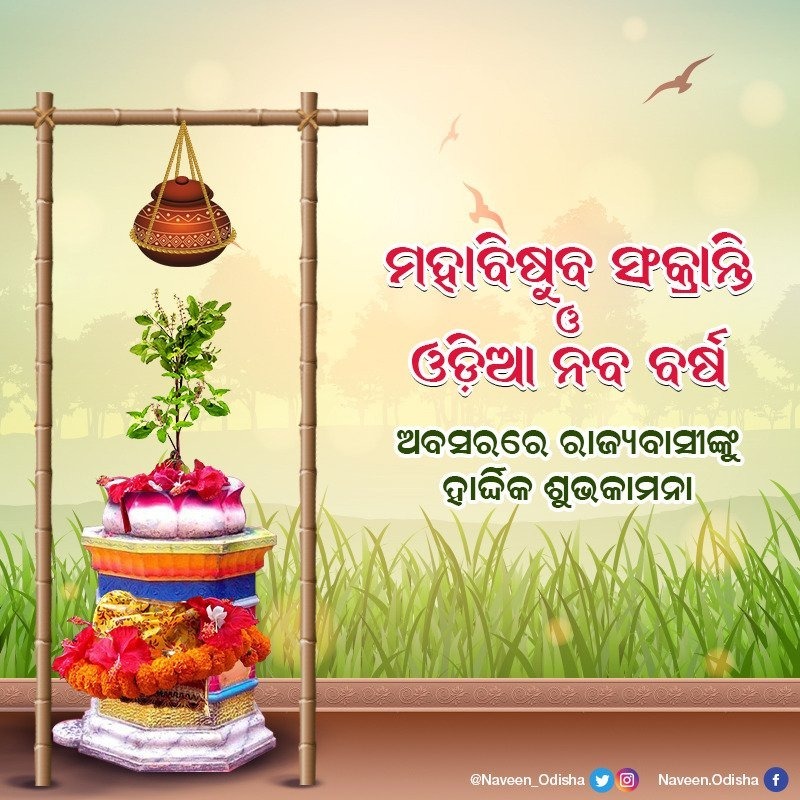 On the occasion of Maha Visubha Sankranti, which is also considered as the Odia New year, Chief Minister Naveen Patnaik wished the people of Odisha. The CM on his Twitter handle expressed his best wishes on Odia New Year and prayed for happiness and prosperity for the people of Odisha in the year throughout. Every year, on this day of April 14, Pana Sankranti is celebrated. Odias all over the world celebrate the ‘Odia New Year’ or the day of Odia ‘Pana Sankranti’ which is also otherwise known as ‘Maha Visubha Sankranti’.